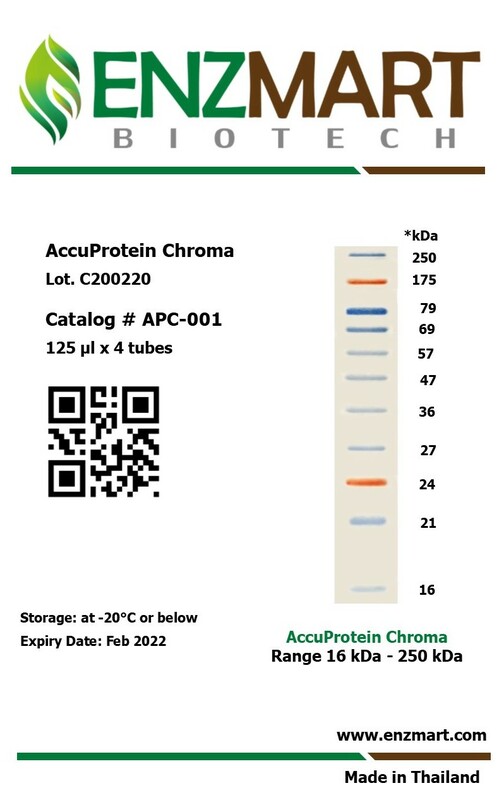 AccuProtein Chroma : Products of Enzmart Biotech co., ltd.
Enzmart’s AccuProtein Chroma are prestained protein markers, 2 ranges that available for the customer. In sizes ranging from 16 kDa to 250 kDa (Catalog # APC-001) and 16 kDa to 127 kDa (Catalog # APC-002). 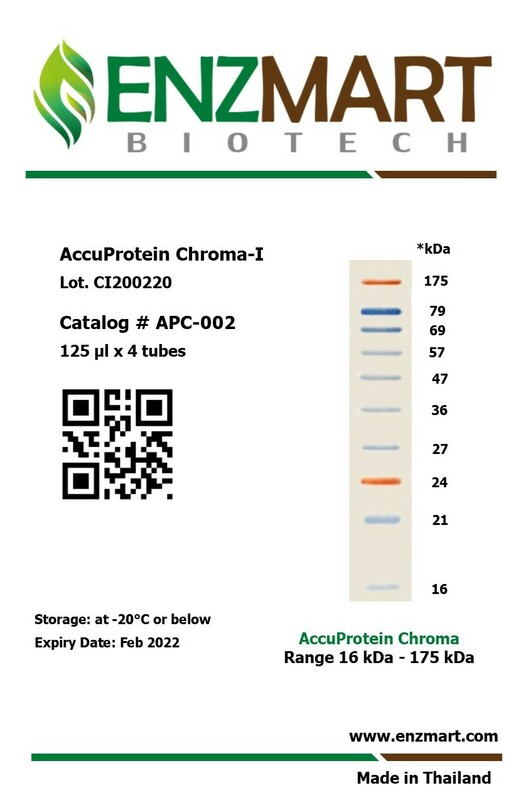 The protein bands of 24 and 127 kDa is prestained in orange color for convenience to identify the protein of interest. These are indispensable in research related to protein identification, analysis of protein size, protein purification and proteomic analysis. Protein separation during the SDS-PAGE analysis could be visualized as blue and orange bands. The marker color is crisp, clear and compatible with western blot transfer. Enzymes are biological catalysts that are vital to all living cells and have wide applications in biotechnological industries and biomedical research. Find out more about Enzyme Assay Service. © Enzmart.com All Rights Reserved.